The NCAA Baseball Regionals 2010 has announced the 16 regional sites for the 64th annual NCAA Division Baseball Championship. Arizona State (47-8), Tempe, Ariz.
Cal State Fullerton (40-15 through Saturday, May 29), Fullerton, Calif.
Coastal Carolina (51-7), Conway, S.C.
Miami (Florida) (40-17), Coral Gables, Fla.
South Carolina (43-15), Columbia, S.C. 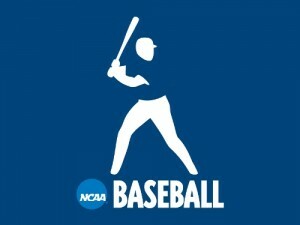 The 2010 NCAA Baseball regional brackets are set to be released tomorrow, Memorial Day. The announcement will come live on ESPN bright and early (for Californians), unveiling the 64 teams that will all be battling it out for a chance to make it to the 2010 College World Series in June. The remaining at-large teams, top-eight national seeds, first-round regional pairings and site assignments will be announced at 12:30 p.m. Eastern time, Monday, May 31, during a live, half-hour program on ESPNHD. The committee will set the entire 64-team bracket through both the super regionals and the first round of the Men’s College World Series, and will not reseed the field after play begins. Selection of the eight super regional hosts will be announced on www.NCAA.com/cws, Monday, June 7 at approximately 11 p.m. (ET). There are 30 Division I conferences which will receive an automatic berth in the field of 64, along with 34 at-large selections. The 64th Men’s College World Series begins play Saturday, June 19, at Rosenblatt Stadium in Omaha, Nebraska. Google+ Enters Top 10 Most Popular Social Networking Sites! WME & Silver Lake Acquire IMG! Now, Facebook is behind Divorce!